Whether you're a student, teacher, or just someone who wants to bolster your grammar skills, this word game from the award-winning Grammar Girl is for you! Match a word with its speech part as you make your way through 28 levels of sentences. Stay at the basic levels—or go all the way. The choice is yours! Learn more about New York Times best-selling author Mignon Fogarty, Grammar Girl, who's helped millions around the world with her weekly podcasts and blog posts on Quick and Dirty Tips. 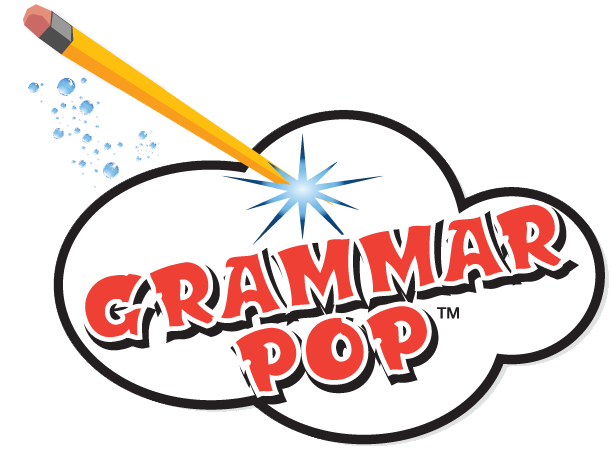 Or buy the iPad or iPhone app now—it's just $1.99 U.S.
NEW: Grammar Pop Winterfest for iPhone and iPad or Mac Desktop. Learn more. Teachers—Use the great ideas in this guide to integrate Grammar Pop into your lesson plans! Copyright ©2013 Mignon Fogarty, Inc. Web site designed by Margo Goody. Grammar Girl illustration by James Wondrak.